Check out Tobi's Tell Em Wrap Dress Get ready for your next coffee date with the Tell Em Wine Wrap Dress. This cute long sleeve dress features relaxed flowy sleeves, a plunging neckline, and a front tie. You're going to especially love the burgundy chiffon dress paired with lace up heels at your next holiday soiree. Get ready for your next coffee date with the Tell Em Ochre Wrap Dress. 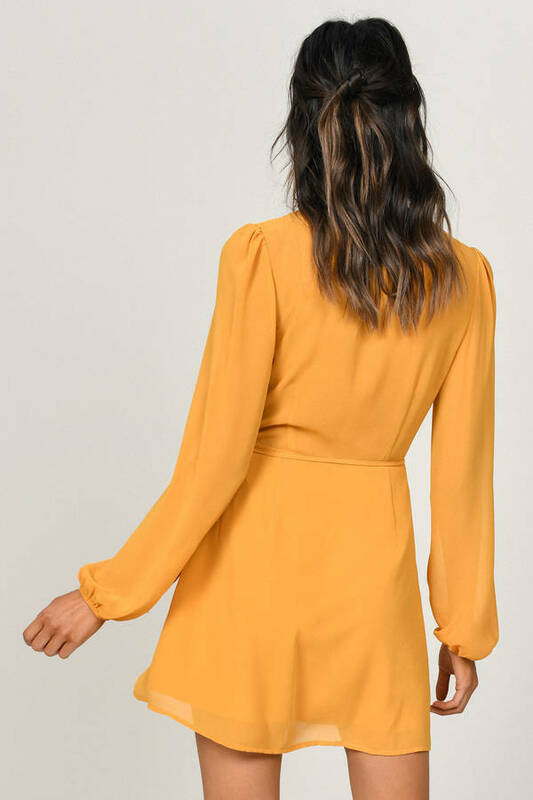 This cute long sleeve dress features relaxed flowy sleeves, a plunging neckline, and a front tie. You're going to especially love the burgundy chiffon dress paired with lace up heels at your next holiday soiree. Get ready for your next coffee date with the Tell Em Rust Wrap Dress. This cute long sleeve dress features relaxed flowy sleeves, a plunging neckline, and a front tie. You're going to especially love the burgundy chiffon dress paired with lace up heels at your next holiday soiree. Get ready for your next coffee date with the Tell Em Ivory Wrap Dress. This cute long sleeve dress features relaxed flowy sleeves, a plunging neckline, and a front tie. You're going to especially love the burgundy chiffon dress paired with lace up heels at your next holiday soiree. 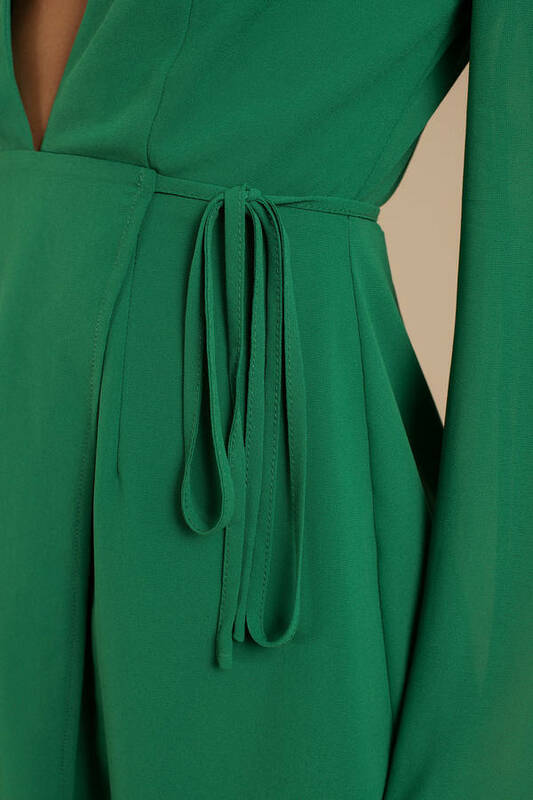 Get ready for your next coffee date with the Tell Em Green Wrap Dress. This cute long sleeve dress features relaxed flowy sleeves, a plunging neckline, and a front tie. You're going to especially love the burgundy chiffon dress paired with lace up heels at your next holiday soiree. Get ready for your next coffee date with the Tell Em Slate Wrap Dress. This cute long sleeve dress features relaxed flowy sleeves, a plunging neckline, and a front tie. You're going to especially love the burgundy chiffon dress paired with lace up heels at your next holiday soiree. Get ready for your next coffee date with the Tell Em Wine Wrap Dress. This cute long sleeve dress features relaxed flowy sleeves, a plunging neckline, and a front tie. You're going to especially love the burgundy chiffon dress paired with lace up heels at your next holiday soiree. Ochre modeled on a size Small. Green, Ivory, Slate, Wine modeled on a size Small.